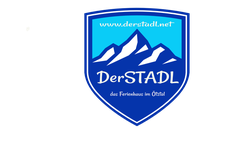 Der STADL - Background - derstadl Webseite! Our comfortable holiday house with his nice individual charme welcomes you in the heart of the valley of Oetz in Tirol. A few times ago we found this lovely old farmhouse with his distinctive tirolean Charme. We renovated it with a lot of patience and personal touch. We are caring to preserve the original character of the house combined with moderns equipments, that we all love so! Our wish was that we feel comfortable, and you too! So in short, a really lovely spot oft he earth, in summer but also in winter!! Not to forget: a place for the safe playing of our children! A house with a capacity for 15 persons.